Today's comparison is The Little Women Letters by Gabrielle Donnelly. The US cover shows a coat rack with lightweight jackets. The background is a beautiful aqua shade. It reminds me of a pool or beach house. The UK cover is dainty. It reminds me of a classic. A girl is sitting comfortably on the floor reading a letter. 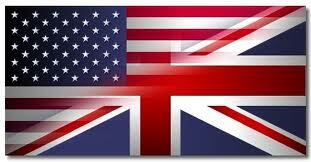 While I love the vibrant colors of the modern US cover, the UK cover seems more fitting. My Series Sunday pick is Holly's Inbox, the first book in the Holly Denham series. Holly is hired as a receptionist at a large British corporate bank. The lobby area is constantly busy, so it is hard to chit chat with co-workers around the water cooler. E-mail is the next best thing! It's like Bridget Jones meets You've Got Mail with a British flair. This is my first book read written entirely of e-mails. At first it was hard to follow. The "to," "from," and "subject" fields were distracting, but necessary. There are no chapters either. Instead the format is divided into months and weeks (Month 1, Week 3). Another deterrent was the thickness of the book. It was like carrying around a dictionary! Chick lit is not supposed to weigh this much. How can I be chic in heels lugging around a 600+ page paperback?! But after the first month, I caught on; it was smooth reading from there and I stopped carrying it around. Through the e-mail correspondence, I learned each of the characters really well. It's like a daily soap opera. If you're interested in this funny read, visit www.hollysinbox.com for an excerpt. It's a great way to see if you like the format and content. Have fun browsing the site and the chat forums. Pssst! This book is actually written by a middle-aged man named Bill Surie. He initially created www.hollysinbox.com as a marketing tool for his recruitment agency. After terminating one of the employees, he went through her e-mails. She hadn't been doing any work! Just gossiping and writing e-mails all day long. Something clicked in Bill's head. What if these were made public? He started writing and Holly's Inbox the novel was born. Check out the trailer below for the sequel Holly's Inbox: Scandal in the City . Today was the finale of The Oprah Winfrey Show. Do you realize what that means? 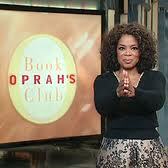 No more Oprah's Book Club. **insert sad bbm face** But don't stop reading! I'm still here! Plus you can catch up on reading Oprah's ten favorite books from the past decade. Click the book cover to add to your wish list, to purchase, or to view the description. Share your favorite Oprah's Book Club choice.